Ice wine is perhaps the most underrated but also most special wine out there. Presented in those pretty (and expensive!) tall, thin, sleek bottles, as if ice wine is the little sister of the big boys. But what the heck is it and where is it produced? What does it taste like? 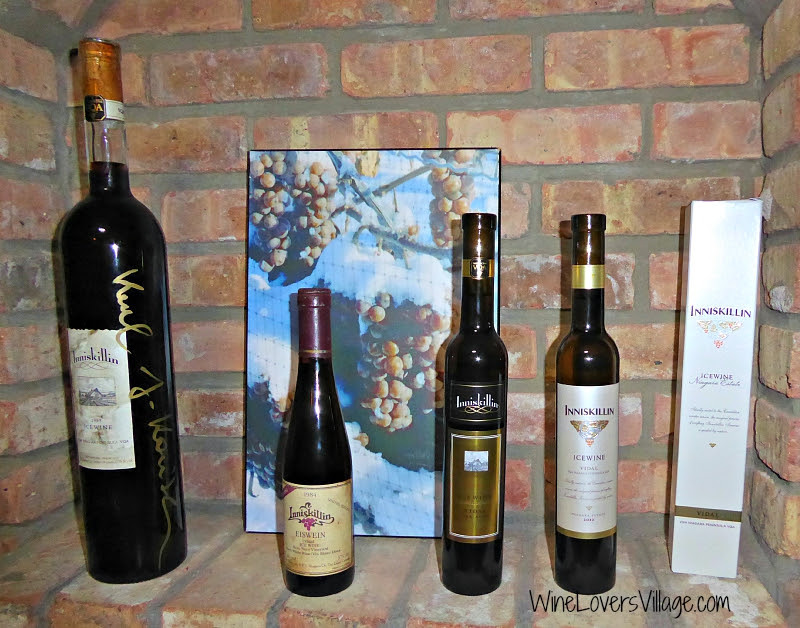 Discover this and more in the following guest post all about ice wine. Where is Ice Wine Produced? What Process is used to Make Ice Wine Made? How is Ice Wine Made in Canada? How should Ice Wine be Served? What are the best foods to pair with ice wine? Depending on where you are and who is telling the story, legend has it that a German winemaker committed a faux pas and allowed his vineyard to freeze. And that same winemaker thought why not produce wine from frozen grapes? And that’s what we have today, a big faux pas that ended up being the sweetest mistake ever (double the sweetness of Coca-Cola). However, it came to be, ice wine is a thing now. All about Ice Wine — you are so fine! 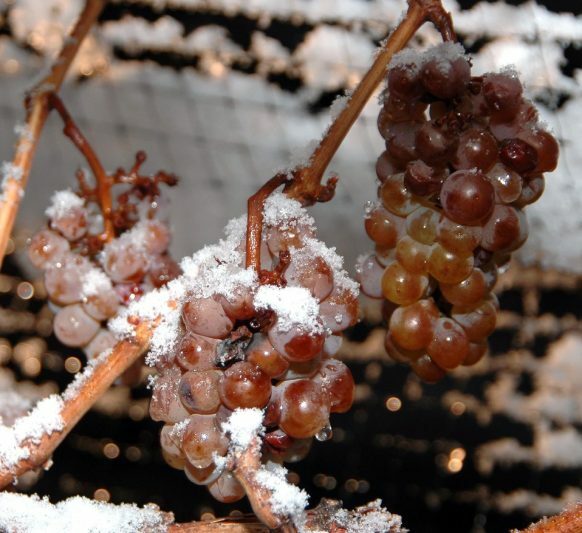 Ice Wine is a wine made from grapes that are left to freeze naturally on the vine before they are harvested. 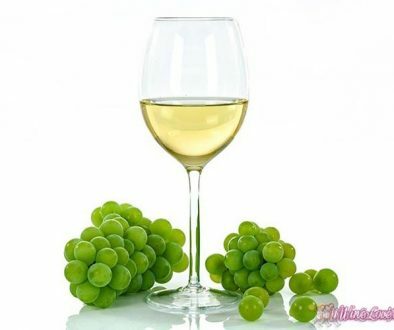 It has a pleasingly rich, sweet taste boasting aromas and flavors of several ripe tropical fruits such as lychee, papaya, and pineapple, among others. Though all variants of ice wine are sweet, they are perfectly balanced by the right amount of acid in them. This absolutely safeguards your love for wine! Legend has it a German winemaker accidentally let his vineyard freeze over a couple hundred years ago and decided to make wine with the frozen grapes. However it began, ice wine is now part of the global viticultural cannon. 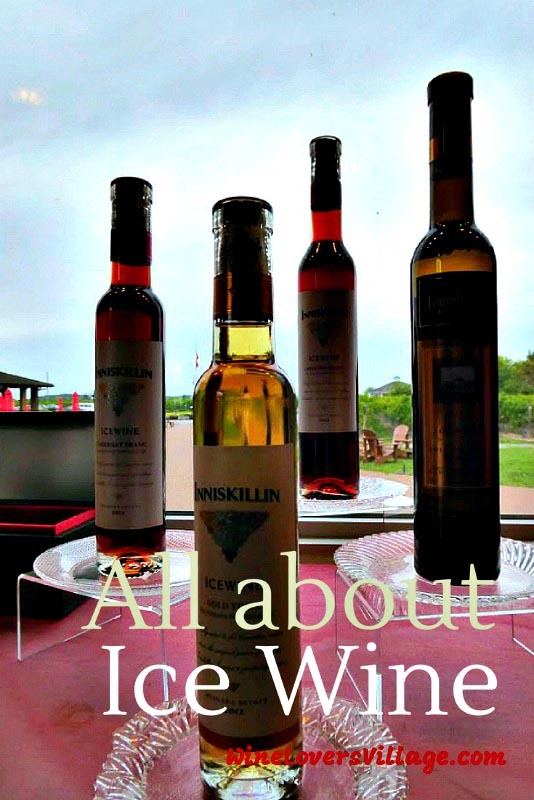 Icewine requires consistent, reliably cold temps, which is why it’s produced in Germany and Austria as well as Canada, New York’s Finger Lakes region, and even Michigan. If the icebox weather doesn’t cooperate in any of these countries, the winemaker may actually skip wine season. 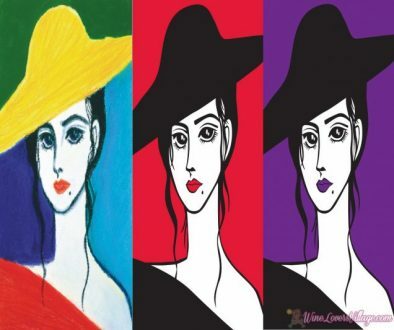 Wine lovers usually choose between the full-bodied white wine or the extremely sweet red wine. White ice wine is made from white grapes and is typically light gold in color, with tastes of citrus and peach. On the other hand, red ice wine is made from red grapes and is typically pink in color with tastes of dried figs, candy, and berries. Documented accounts claim that the first ice wine was made in Germany, in the early nineteenth century. The German name for ice wine is “Eiswein.” However, today, Eiswein is not made consistently each year, the reason being that there are years when the temperatures don’t drop low enough and German laws prohibit artificial freezing. The Canadian province of Ontario, with its warm summers to ripen the grapes and moderately cold winters, has been a leading ice wine producer since the early nineties. 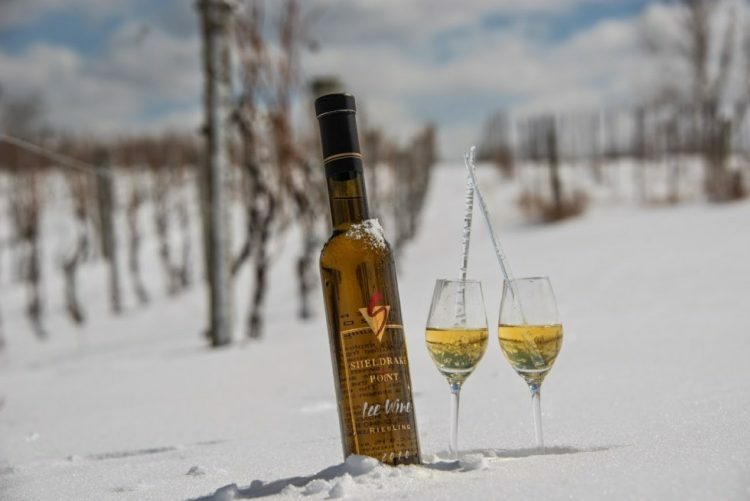 Some of the world’s finest ice wine comes from Ontario, making it known as an “An Ontario Treasure”! The most popular and approved grape varieties in Ontario are Vidal Blanc, Riesling, and Cabernet Franc. 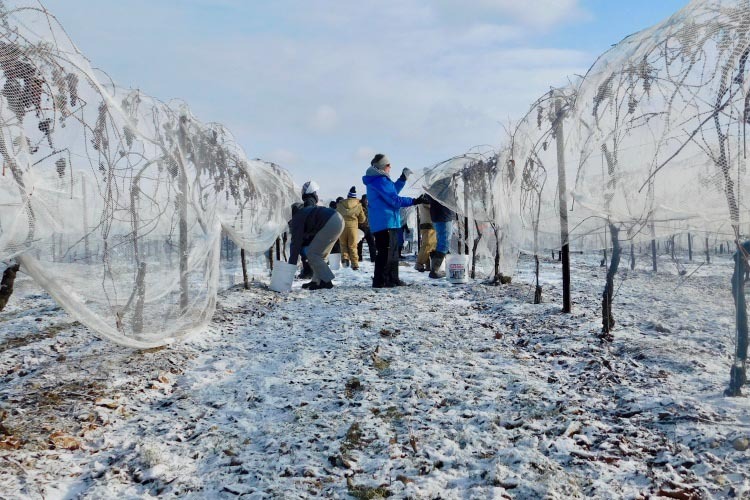 The grape growing season in Ontario, Canada, begins with netting the grape vines during autumn, to protect the grapes from being devoured by birds and animals. Grapes are left on the vine until a sustained temperature of -8°C or lower is reached. This is sometime between the months of December and February. At some point in time between the end of the growing season and harvest, the grapes dehydrate. These dehydrated grapes concentrate the juices and create the specifically intricate qualities of ice wine. 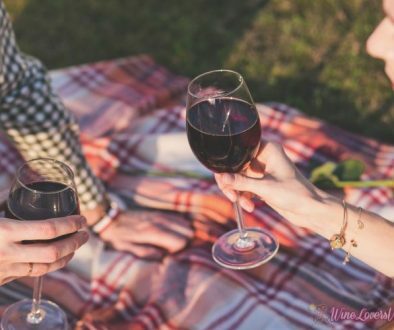 At wineries, the weather is watched for the most favorable range of temperatures, i.e. between -10°C and -12°C. This range produces extremely sweet juice in the range of 35°Bx to 39°Bx. Bx is short for Brix, and degrees Brix is a measurement of sugar. Normally, a period of minimum six hours during the night is required to harvest and press the grapes. Many wineries still practice hand harvest. The harvested grapes which are in frozen condition are pressed. This results in the extraction of only a small quantity of concentrated juice and leaving most of the water behind as ice. Hence juice yields for ice wine grapes are much lower than the expected yield for table wine grapes. This certainly makes ice wine an expensive buy, such that a 375mL or 500mL bottle costs anywhere from $20 to the triple digits! Coyote Moon Vineyards in New York produce ice wine. Photo: Coyote Moon Vineyards. To get the best ice wine experience by enjoying every aspect of this unique beverage, wine lovers ought to know how to serve it properly. Icewine is often called a “dessert wine”, hence making it a point to chill this wine first for a few hours. Also, let your wine glasses sit in the freezer for an hour before you serve the wine. Select large wine glasses to serve the ice wine. These should have a large bowl so that the flavors of the ice wine can be fully exposed to the air and appropriately released. Chill the wine glasses and ice wine. Then fill the wine glasses only up to half of their capacity, allowing that plenty of air to interact with a large surface area of the wine. Though ice wine is a dessert itself, it can be served with other desserts as well. The most appropriate accompaniments are creamy sweet desserts such as mousse, and ice-creams, particularly coconut flavor. You could also enjoy white ice wine with fruit-based desserts. 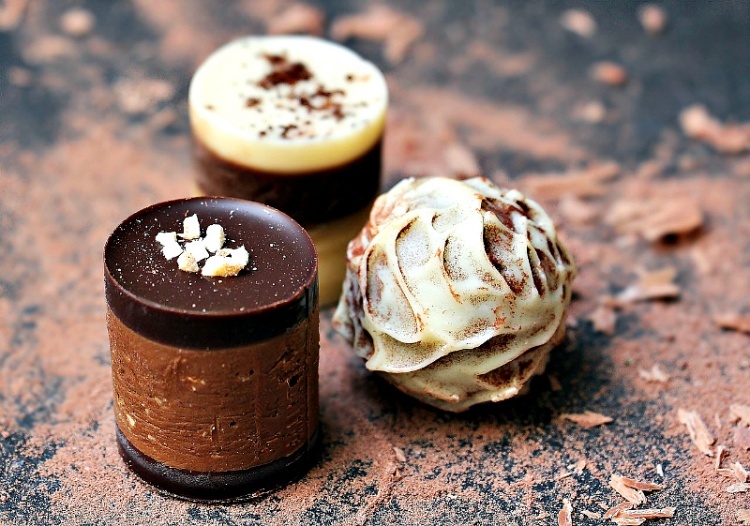 Dark chocolate pairs exquisitely well with red ice wine. Icewine goes well with a variety of cheeses – blue-veined, goat cheese, salty parmesan, triple cream, among others. Want to serve ice wine during a meal? It’s best paired with spicy Thai, Indian or Mexican cuisine. However, ice wine doesn’t pair as well with heavy main course dishes such as steak or roast pork. Last but not the least, you can also use ice wine as a mixer by adding a splash to sparkling wine or cocktails.